Birmingham investmeent company Beech Tree Private Equity plans to execute a buy-and-build strategy after completing a significant investment in BCN Group, a fast-growing IT managed services company. 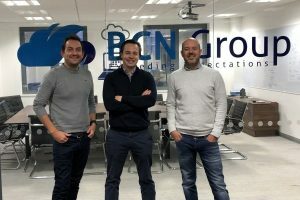 Beech Tree has been looking to invest in the sector due to the rapid growth in demand for the provision of cloud managed services and will support BCN with its plans to scale up rapidly. It is now actively seeking to make acquisitions of IT managed service providers in the Midlands and North. It will be looking to replicate its success with Birmingham technology group Wavenet, which doubled the size of its business in two years through three acquisitions. Details of the BCN deal have not been made public but Beech Tree, which has been involved in six investments to date, typical invest between £20m and £30m in firms. BCN was formed in Wilmslow in 2009 by two entrepreneurs, Simon Kelf and Matt Smith. The business plans to “accelerate our organic growth” alongside a buy and build strategy.